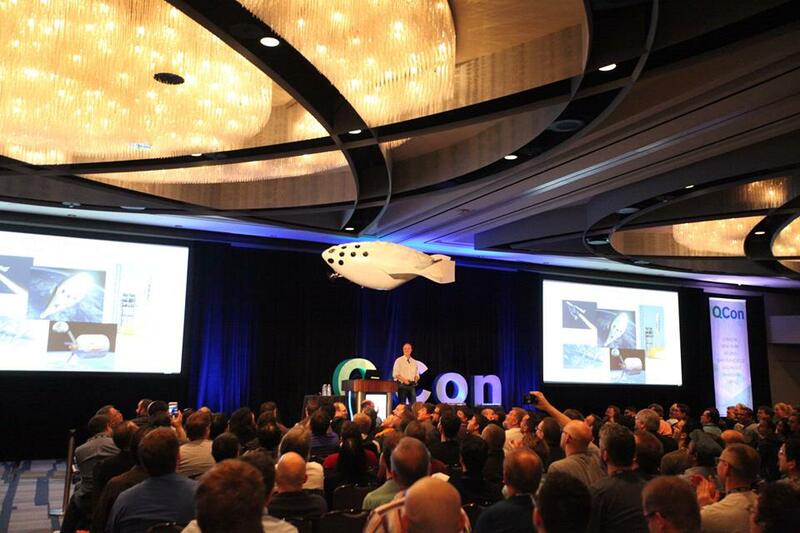 Early in November around 1,800 attendees descended on the Hyatt Regency in San Francisco for the eleventh annual QCon in the city and the biggest QCon we’ve held in the US. 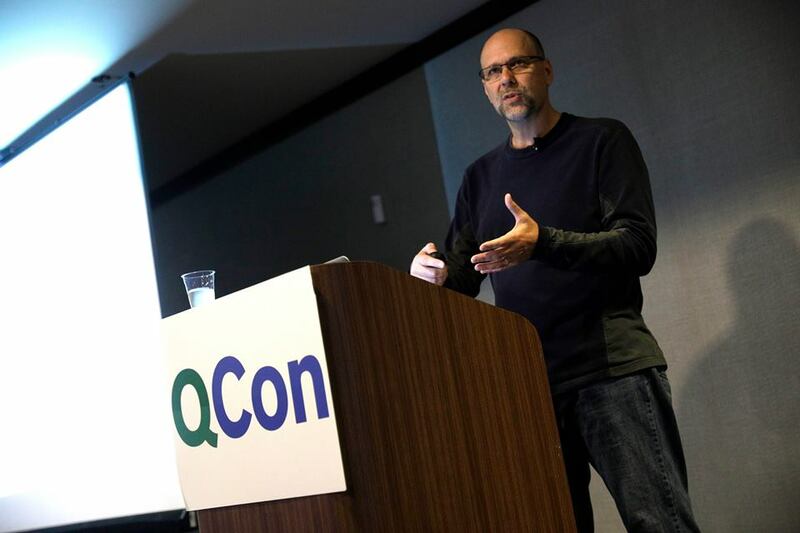 QCon SF attendees - software engineers, architects, and project managers from a wide range of industries including some prominent Bay-area companies - attended 107 technical sessions across 6 concurrent tracks, 21 in-depth workshops, facilitated open spaces and, as at all English language QCons, had near instant access to all filmed presentations from the event on InfoQ. 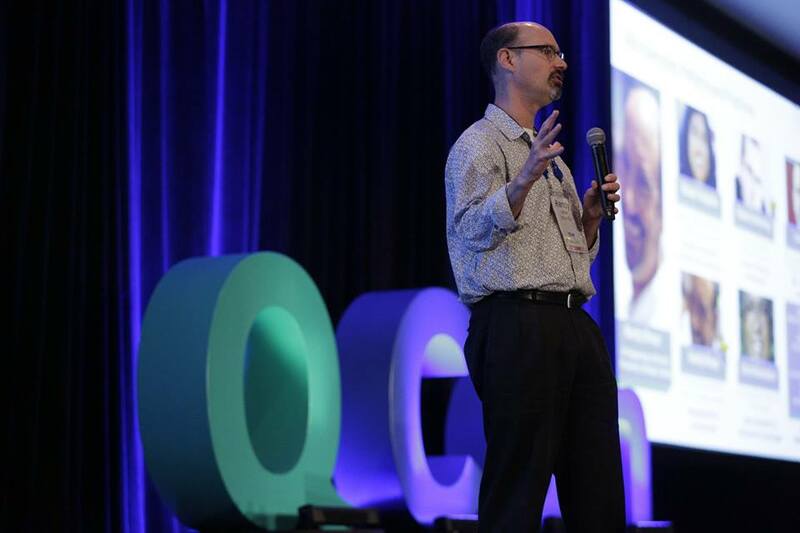 The publishing schedule for presentations can be found on the QCon SF web site. 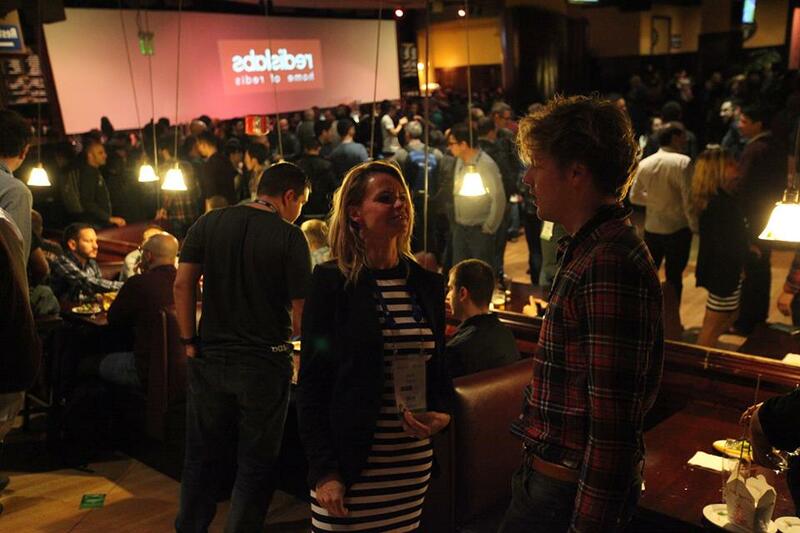 In addition, you can see numerous photos of QCon on Flickr. We tried a number of new things at the event this year including simultaneous text to screen for the keynotes and largest room, and 10 “Ask me Anything” sessions where attendees could talk to speakers in an informal setting. The transcripts from the text to screen will be made available along with the videos on InfoQ. The conference started with Julian Guthrie and Dan Kreigh telling the story of the Ansari X-Prize, a competition driven by outsized characters—Burt Rutan, Richard Branson, John Carmack, Paul Allen—and discuss the construction/testing of the bullet-shaped SpaceShipOne. SpaceShipOne was a historic feat of aerospace engineering that produced the first privately built manned reusable spaceship to fly to space twice in two weeks. We have, for years, have been able to craft systems and platforms with little oversight. And I think that has been, for the most part, a good thing. Those times are changing, and they are actually coming to a close. I would rather be self-regulated than regulated by the government. I'm sure most of you in here would rather be self-regulated than regulated by the government. But you have to start leading today. Don't wait for these problems that we've seen with Twitter and Facebook and Reddit and the other, you know, platforms that have been co-opted by foreign governments to spread false information. Some members of InfoQ's team of practioner-editors were present and filed a number of stories about the event, and we’ve already started publishing videos on the site. We’ve included some summaries of the news we produced from the event here, but the main focus for this article is the key takeaways and highlights as blogged and tweeted by attendees. @IvanaMcConnell: The @ProPublica algorithm bias article that @shaft brought up for #qconsf: https://t.co/vL18p3EuT4 Read it. Code isn't neutral. He explained why this concerns him - he is sure that the "next big thing" will be an AI/ML company and asks if they will repeat the mistakes of the past. Without conscious care and effort, this is a very likely outcome. There is a growing and thriving industry emerging around the use of algorithms in a wide range of areas. He gave the example of their use in ride-sharing – what would happen if the algorithm determines that in a particular area most rides are under $5.00? Will they send people to pick up in those areas, will they send drivers who are lower-rated? What is the impact on the people who live in those areas? This is already happening – and there is no visibility into what is going on. It is also happening in sentencing guidelines where the algorithm resulted in African-Americans being 45% more likely to get sent to prison for the same crime, because the dataset they used to train the model was inherently biased. This algorithm has been deployed in 25 states in the USA, without being changed…. He then identified concrete things we can do to prevent these problems from happening. This starts with having the discussion about where the training data comes from; is it over-sampled or under-sampled, how are the algorithms built? Be transparent about what information is collected, how it is used, what elements are taken into account in the calculations. Nubank, a startup bank in Brazil shared their evolvement in architecture which enabled them grow significantly from their birth in recent years. It’s an amazing story which broke my stereotype of a financial institution: critical safety requirement, dense regulation being obstacles of creativity. They did an amazing initial job to gain a rapid customer growth, but they soon faced big problems with data writing throughput at scale (They use a git-commit style database called Datomic), they considered and tossed out the idea of sharding the database, they ended up sharding by “unit of services” with global routing. Another challenge they have is, the git-commit style database makes it hard for aggregation, they can’t quickly answer CEO’s question “How many customers do we have?”. They ended up doing log tailing for those transactional DB rows to their data warehouse. Slack talked about how they split a monolithic system to a microservices architecture: in the past they loaded the full snapshot all at once, which made their cold start (every morning, every Slack user) very slow and expensive. Now they reduced P99 load time from 40s to 4s. Key takeaways from the talk included: engineers should not lose sight of the company's customers and the experience they are having; designing for resiliency testability is a shared responsibility; configuration changes can cause outages; and engineers should have have explicit monitoring in place to detect antipatterns in configuration changes. Jones … began the talk by exploring how teams can design services for resilience or "chaos" testing. Concepts discussed included building services that support Failure Injection Testing, ensuring service-to-service communication is conducted via an RPC framework, implementing RPC call fallback paths and ways to discover them, implementing proper monitoring -- including key business metrics -- and enabling proper timeouts and ways to discover them…. 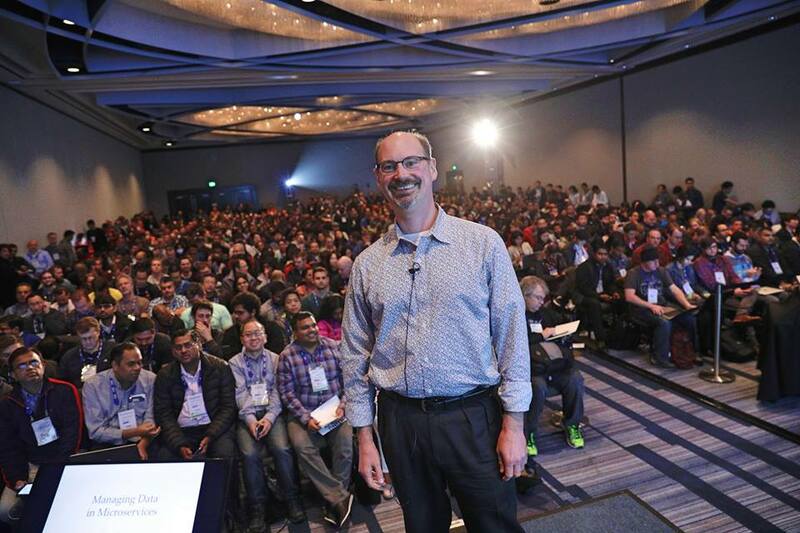 Jones concluded the talk by sharing several success stories of the chaos engineering team's efforts and automation from other Netflix internal teams, stating that production incidents were avoided, and other undesired side-effects were identified and fixed before deploying the service in production. A key message was reiterated several times during the talk: don't lose sight of you company's customers. Resilience testing is one part of Netflix's overall approach to ensuring a consistently excellent customer experience. Kotlin coroutines aim to help mitigate the issues a developer face with Futures/Promises. Coroutines allow the developer to write the code with natural signatures that developers use when writing synchronous code. Coroutines use the suspend keyword at the beginning of the coroutine definition to indicate asynchronous operation…. Developers are encouraged to explore the Kotlin coroutine library for all the coroutines available in Kotlin to support asynchronous programming. These libraries are still evolving and are experimental at present. However, they include integrations with other asynchronous programming approaches, such as CompleteableFuture, RxJava and Reactive Streams. They also provide hooks to allow Kotlin to integrate with single-threaded UI frameworks, including Android and JavaFX. Randy Shoup talked about how StitchFix fixed a problem that they had with a monolithic shared DB which could not scale: they split it into a few core databases, built services on top of each, then served client applications; and how they deal with joins (basically built another service which caches the joined view, backed by a flow of events) and transactions (construct a state machine of atomic events, so that when a rollback is needed, they would run a workflow of “compensating events”). Rafael Schloming … argued that an organisation migrating to microservices must seek to break up their monolithic development processes in addition to attempting to break up the system architecture. Treating newly formed microservice teams as internal "spinoffs" provides boundaries and encourages self-sufficiency and autonomy, and these teams must be supported by effective tooling for debugging, deploying and observing services within production…. When developing an application or service, the overarching delivery lifecycle can be divided into three phases: prototyping, production, and mission critical. It is often much easier to maintain high velocity of feature delivery in the prototyping stage, because stability is less important. As delivery moves from production to mission critical, velocity is often sacrificed for increased stability. Using a single delivery process for all components within an application is inefficient, as this forces a single stability vs velocity tradeoff…. From an organisational perspective, the creation of self-sufficient and autonomous software teams focused around a product is highly beneficial. However, this change from monolithic process to micro-processes requires education, communication and delegation. Everyone within a microservice product team will be exposed to the full development lifecycle -- from coding locally to deploying code to production via a continuous delivery pipeline and observing the application -- and this typically requires additional education. Ultimately, this change means that specialists have the opportunity to become generalists, which leads to the implementation of better holistic systems and operations…. Schloming argued that the best way to conceptualise the organisational change required to implement microservices is to think of each product team as a business spinoff. In much the same way as existing development teams may consume third-party services such as Twilio or Stripe, product teams should integrate with internal services using the same approach…. Schloming summarised his talk by stating that when an organisation begins a microservices migration, attention should be paid in regards to breaking up the monolithic process in addition to (and in priority of) breaking up the monolithic architecture. Organising microservice product teams as self-sufficient and autonomous "spinoffs" is beneficial, and tooling must be created in order to enable effective service-oriented development. Adrian Cockcroft … discussed the evolution of cloud native architecture, and how chaos engineering can be applied to produce better and safer systems. Effective chaos architecture and engineering was presented as consisting of "four layers, two teams, and an attitude": infrastructure, switching, applications, and people; chaos engineering and security red teams; and "break it to make it better"…. Cockcroft switched gears halfway through the presentation, and focused on chaos engineering and chaos architecture, the essence of which he believes is captured with "four layers, two teams, and an attitude". The first two layers are infrastructure and switching, and here customer requests should be routed to specific local regions and services, data should be replicated and requests re-routed to active services during an incident, and the switching mechanism must be more reliable than the redundant components being switched between. The fourth layer, people, are a core component of implementing resilient systems - unexpected application behaviour often causes people to intervene and make the situation worse. Fire drills save lives in the event of a real fire, because people are trained how to react -- but who runs the "fire drill" for IT? The "two teams" presented were the chaos engineering team and the security red team…. Cockcroft concluded the talk by discussing risk tolerance, and asking what is more important for an organisation: availability - being permissive and "failing open"; or consistency and security, with the associated downtime. 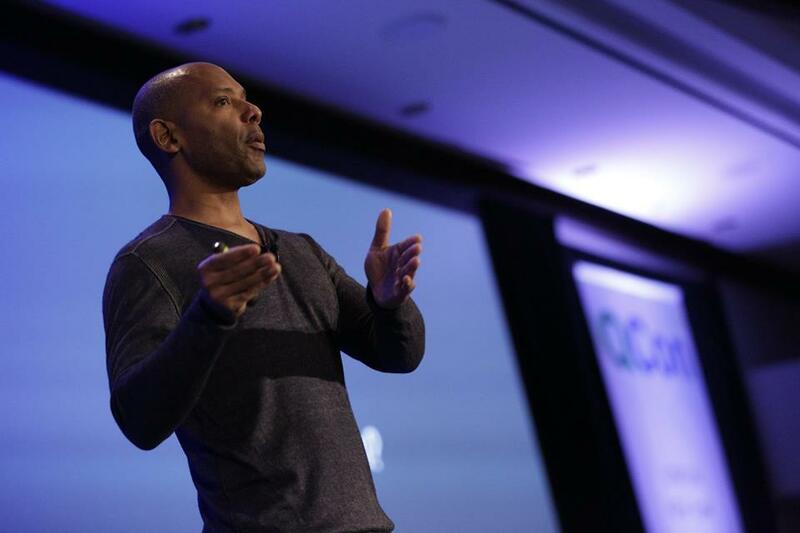 Wheeler, principal application engineer at Expedia, discussed how a shared learning space was created within Expedia, which facilitated the sharing of information around resilience, and led to the creation of "resilience champions". Much effort was made to collect and present baseline resiliency data, in order to allow teams to track improvements…. Resilience experiments were conducted in tests as an addition to the continuous delivery pipeline. 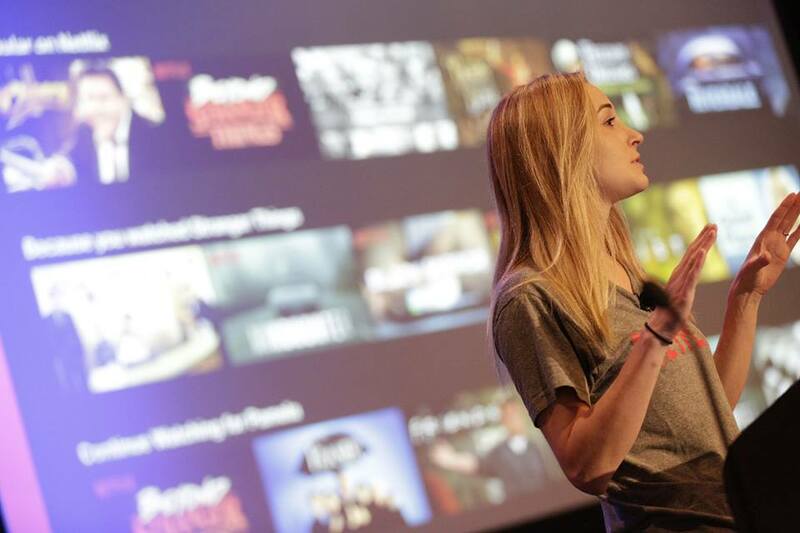 Production experiments were conducted with the use of Netflix's Simian Army and Chaos Monkeys…. The results of resilience testing have generally been positive: Chaos Monkey has been running daily in production since May 15th; resilience tests have been added to four Tier 1 service pipelines; there has been an increase in organisational awareness; and a resilience community of practice has been established with 65+ active members. In regards to the challenges, establishing development team engagement has been a struggle due to limited team capacity, and the drive for improving Expedia's products is still currently greater than the need for improved resilience. Samiei and Wheeler concluded the talk by discussing that the focus of resilience engineering at Expedia for 2018 will be around automation, specifically: service mesh/proxy-based resilience testing enablement (e.g. via Linkerd or Envoy); testing via service discovery; and increased observability. The primary goal is to reduce the cost of resilience engineering through automation. Have a “growth mindset” rather than fixed mindset, and realize “I know I can improve”, not “I cannot get better” nor “I am never good enough”. It’s easier to realize you can get better, but the trickier part is people can have the imposter syndrome, thinking “never good enough”, and cannot realize that, which is actually very destructive. Trust, not “distrust” nor “being naive”, is a good way to support people to grow. Instead of thinking people are inherently lazy, avoid responsibility, and require extrinsic motivation (theory X), believe people are intrinsically motivated, seek ownership, want to perform well (theory Y). Be confident, avoid “fear” or “arrogance”, and again imposter syndrome can do more harm than you think. Randy openly told his own story that he planned to give talk about same topic 2.5 years ago at QConNY, but because of imposter syndrome he cancelled that talk at that time. He also gave suggestions on how to build confidence: “Do it till you become it”, and “Find your core”. Levine … outlined the issues of debugging a distributed microservice-based system, and provided three potential approaches to overcoming the inherent challenges. The talk also introduced a new open source microservices debugger that Levine is working on, Squash, which integrates with the VS Code IDE and allows developers to debug microservices applications deployed onto Kubernetes. Levine began the talk by stating that debugging microservices is currently very difficult. A monolithic application typically consists of a single process, and attaching a debugger to this process allows the viewing of the complete applications state and the flow of execution. A microservice-based application is inherently a distributed system consisting of multiple processes communicating over a network, and this adds significant complexity to the challenges of debugging effectively. The remainder of the talk presented three potential approaches to debugging microservices: distributed tracing, using the open source Squash microservices debugger that Levine has created, and using a service mesh…. Distributed tracing tooling, such as Open Zipkin -- which implements the Open Tracing Cloud Native Computing Foundation (CNCF) hosted API specification -- can be used to monitor and understand the flow of execution through a microservices-based application…. The third approach presented for debugging microservices was to utilise the capabilities of a service mesh, such as Istio / Envoy…. Levine concluded the talk by suggesting that the ultimate solution would be to integrate all three of the debugging approaches mentioned. 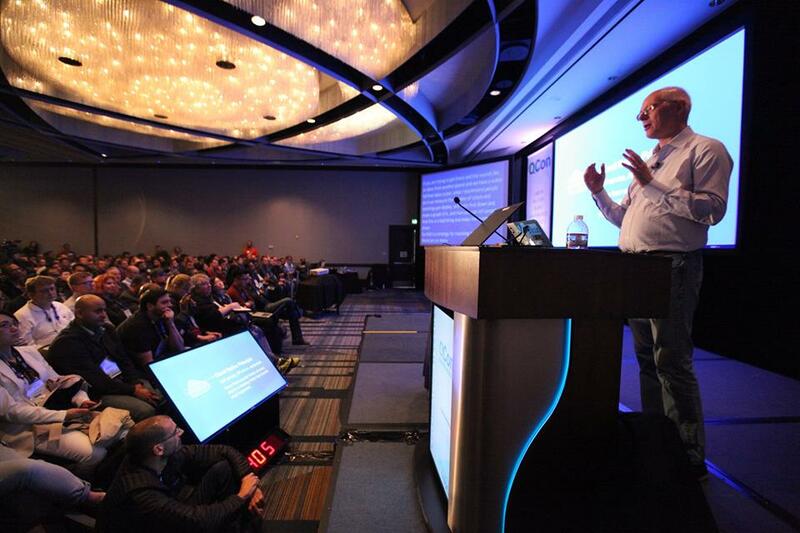 @msanfacon: Lots of great talks and chats on company culture at #qconsf this week. Also, great workshop on the same subject by @randyshoup! InfoQ produces QCons in 6 cities around the globe. Our focus on practitioner-driven content is reflected in the fact that the program committee that selects the talks and speakers is itself comprised of technical practitioners from the software development community. Our next QCon will be in London March 5-7, 2018. 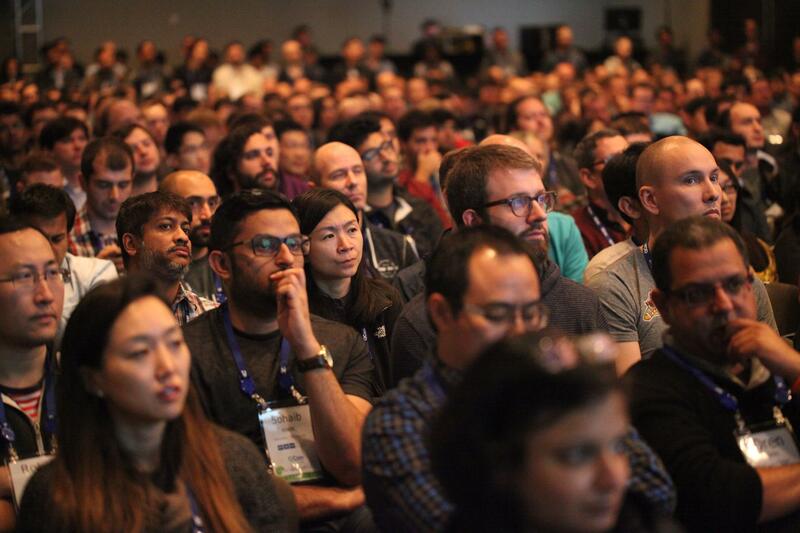 We will return to San Fransisco April 9-11 2018 with a brand new event focussed on machine learning and AI for developers. Collection of twitter speak is unreadable to me, or at least not worth the effort. Too bad, someone put effort into producing this.